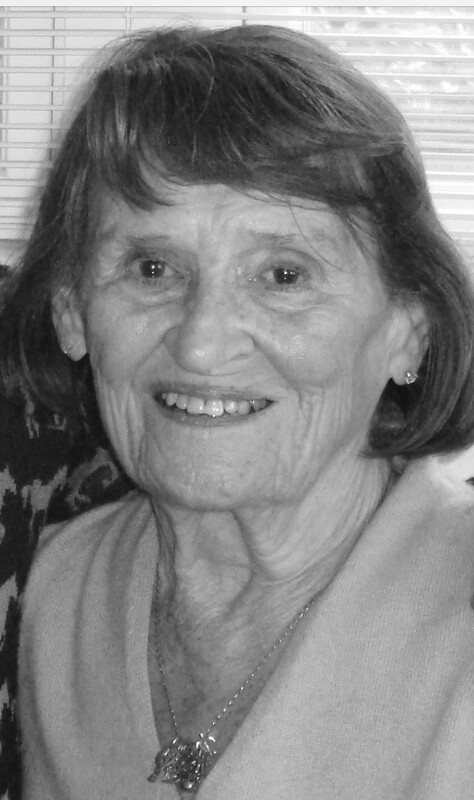 Marguerite M. Lasher, 93, of 4251 Conewango Ave., Warren, and Longboat Key, Florida, passed away on February 3, 2019, at the John and Orpha Blair Hospice House in Warren. Born August 14, 1925 in Warren, she was the daughter of the late Clarence Leroy Mader and Myrtle May Mader. Marguerite was graduated from Warren Area High School in 1943, and Thiel College where she earned a two-year certificate in business. After college she worked in the family’s automobile dealership until she married her husband, Dr. John W. Lasher on September 23, 1950. As her family grew up she worked as the office manager in her husband’s podiatry practice. She was a 70-year member of First Presbyterian Church, Warren, and an affiliate member of the Longboat Key Chapel and Longboat Key Presbyterian Church. For a number of years she directed the worship hour childcare at First Presbyterian Church in Warren, with her children serving as her workers. A devoted mother, she served as both a Cub Scout Den Leader and a Girl Scout Leader for her sons and daughters. A long-time member of The Woman’s Club of Warren, Marguerite enjoyed the social gatherings and bridge games, celebrating her occasional victories by clipping the notices from the newspaper and posting them on the refrigerator along with family photos and artwork. In recent years, she spent hours at the kitchen table honing her bridge game with practice hands. She enjoyed watercolor painting and took classes in Warren and Florida, delighting her family with handmade cards that featured her artwork. An avid reader, she would devour a book in a couple days if she found it interesting, taking as long as a week with less exciting fare. From the mid-1990’s until 2018, she spent winters in Florida and summers in Warren. As a Red Cross Certified Water Safety Instructor, she loved swimming at the pool or at the beach, and enjoyed outdoor activities. Until she retired from active duty at the age of 92, she enjoyed driving the lawn tractor and mowing several acres of lawn at the family farm where she spent the summer months. If asked, she would attribute her longevity to a daily breakfast of steel cut oats with wild blueberries and whipped cream, luncheon salads with sardines, limited red meat, and a daily glass of White Zinfandel. She made a remarkable recovery from a stroke suffered just prior to Christmas in 2017, and returned to Warren in January 2018, when she became a resident at Cambridge Personal Care Home prior to her move to the Hospice House. John, her husband of 53 years, and her daughter Amy Haworth of State College who passed away after a brief illness in May of 2018, preceded her in death. She was a devoted mother of seven children: four sons, John A. Lasher and wife, Gloria, of Warren; William G. Lasher and wife, Kim, of Lakewood, NY; Robert G. Lasher and wife, Victoria, of Newark, DE; James L. Lasher and wife, Cindy, of Richmond, VA; three daughters; the late Amy L. Haworth and husband, Dan, of State College, PA; Elizabeth L. Foley and husband, Willard, of Warren; and Mary L. Franco of Hamburg, NY. Sixteen grandchildren; 6 great-grandchildren; and several nieces and nephews also survive. Her “surprise” birthday parties, which were held annually for many years on or about August 14th, were among her greatest joys. To continue that happy tradition, a celebration of her life will be held with a memorial service on August 10, 2019, at First Presbyterian Church, Warren, followed by a party. Details will be announced once arrangements are finalized. Memorial gifts may be made to the Erie Shriners Hospital for Children, 1645 West Eighth Street, Erie, PA, 16505, or to the John and Orpha Blair Hospice House in care of Hospice of Warren County, One Main Avenue, Warren, PA, 16365. The Donald E. Lewis Funeral Home is in charge of arrangements.